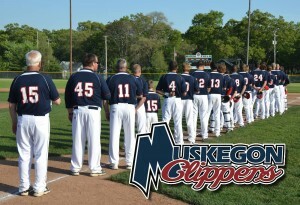 MUSKEGON, Mich., February 12, 2015 –Muskegon’s summer collegiate baseball team, the Muskegon Clippers, was a smashing success during its inaugural season in the summer of 2014. Smashing in more ways than one. Not only did this wooden bat league defy the conventional wisdom of low scoring games but finished the year setting the leagues attendance record. The Clippers battled for the league championship right down to the last game of the year, where they just missed a chance to advance to the National Tournament. The Muskegon Clippers, part of the Michigan Summer Collegiate Baseball League, is the brain child of local businessman and Clippers owner, Pete Gawkowski. Len Piasecki, president of the Muskegon Lakeshore Baseball Club, welcomed the summer tenant at historic Marsh Field. The Muskegon Clippers feature college players from Junior Colleges to Division 1 Universities playing baseball at Muskegon’s historic Marsh Field during the summer months. Last year the Clippers had several notable local favorites playing for the team including, Jamie Potts and Patrick Giddings from Oakridge High School, Connor Seymour and Jason Ribecky from Muskegon Catholic Central High School and Cody Houts and J.P. Batts from Spring Lake High School. The Muskegon Clippers are coached by longtime Mona Shores and North Muskegon High School baseball coach Walt Gawkowski. “We were very pleased with the community support and the product we put on the field last year”, said Pete Gawkowski, local business man and owner of the ball club. “We created a great experience for the fans, had high scoring competitive games, and set the stage for another great year at Marsh Field. Part of what made the season such a success beyond the quality baseball, was the fan experience initiated by Gawkowski and Piasecki. A party deck was established at Marsh Field which provided a VIP seating experience and party atmosphere. The concession food offerings were enhanced beyond the traditional hot dog and adult beverages were available for purchase. In addition, walk up music for each Clipper batter was used to add excitement to the game. Crowd participation with the action on the field and between innings became part of the uniqueness of Clipper baseball. And finally, kids were allowed to run the bases after the games. Jim Grevel, Director of Player Development for the Muskegon Clippers has several players from last year committed to returning again this year. In addition, he has signed some star players from Universities around the State and the Midwest, including Ashland University in Ohio, Slippery Rock University in Pennsylvania and Northwood University in Michigan. To help accommodate the players coming in from out of state, the Clippers are looking for Host Families willing to host a player during the summer season. Each Host Family is asked to commit to providing a bedroom, access to a washer and dryer and daily meals. The Clippers will assist the host family with a monthly stipend to help offset expenses. Host families are not required to provide transportation. Several new things are in the planning stages for even more fun at Marsh Field this year. Opportunities for company picnics, which would include food, beverages, kids’ activities and a baseball game, are being formulated. Special group ticket sales information will be released soon. More fan friendly games and entertainment will be added to the experience. Special promotional events will be added for each home game to recognize special groups in the community. Of course, the party deck will still provide for VIP treatment and will be available to rent. The Muskegon Clippers home opener will be May 29, 2015 at 7:00pm, at Marsh Field, against the Motor City Pride from the Detroit area. Individual game tickets are $5 for adults; $3 for students and senior citizens; children under 12 are free. Season ticket and group sales packages are also available. For more information on company picnics, VIP seating and regular tickets please contact: Len Piasecki at 231-750-0331 or len@playmarshfield.com. For Host Family information please contact Pete Gawkowski at 231-638-7696 or ptgawkowski@gmail.com. This entry was posted in News Releases on April 29, 2015 by editor. OTTAWA COUNTY – Ottawa County ranks 1st out of 82 counties in Michigan for healthy people, according to the sixth annual County Health Rankings (CHR), released today by the Robert Wood Johnson Foundation (RWJF) and the University of Wisconsin Population Health Institute (UWPHI). 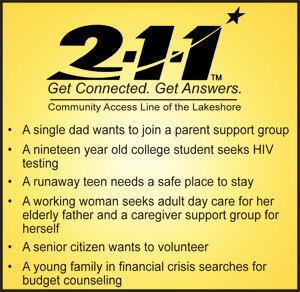 A snapshot of Ottawa County’s overall rank is at http://bit.ly/1DUoJfa and the CHR summary report is at http://bit.ly/1y3udNz. Annual rankings show where counties do well and also where there are opportunities for improvement. Since 2014, Ottawa County improved or maintained in 85% of the 35 indicators that make up the ranking. While Ottawa County is the healthiest county in Michigan, the state ranks 34th in the nation. “The County Health Rankings is a great opportunity to show how Ottawa County’s community members, hospitals, schools and agencies partner together; all contributing to our #1 rank,” said Lisa Stefanovsky, Health Officer with the Ottawa County Department of Public Health. Additionally coming this May, the 2014/2015 Ottawa County Community Health Needs Assessment (CHNA) report will be presented at the Ottawa County Fillmore Complex. The CHNA is a study that helps to identify health and health service issues; by gathering feedback from individuals, health care professionals and other community leaders. Results from the CHNA are similar to the CHR report, but more defined for Ottawa County. The public and media are encouraged to attend to discuss the results and start planning on ways to improve residents’ healthy outcomes. More information is to come at www.miottawa.org/healthdata or call Marcia Mansaray, OCDPH Epidemiologist at (616) 494-5598 or mmansaray@miottawa.org to register for the May CHNA report release and forum. • Residents enjoy longer life expectancies and better overall health. • Higher child and adult immunization rates. • Lower smoking rates in adults. • More mothers seek prenatal care. • Access to primary care; medical, dental and mental health. • Binge or heavy drinking. • Death rates from Alzheimer’s. • One in four youth report depression; 34% females and 15% male. • One in four teens pregnant (15-19 years of age). • Increase in chlamydia cases. This entry was posted in News on April 27, 2015 by editor. Ask Dr. Universe – Can You Grow Clothing? I heard about this from my friend Hang Liu, a Washington State University professor who studies the science of materials we use and wear every day. These tiny organisms, microbes, do lots of jobs in the world. They’re at work in soil, some help bread rise, and others can sometimes make us sick. Chances are your clothes didn’t come from microbes, though. It’s likely your T-shirt started as a seed. Plants make something called cellulose. It keeps their cell walls strong. When farmers plant cotton in their fields, the soft cellulose fibers from the plant can be processed into thread and fabrics. Some microbes can actually spin cellulose into cloth. The recipe for microbe cloth calls for a few ingredients. The main one is kombucha, a sweet tea full of bacteria and yeast. Some people drink it to help with digestion. When sugar, yeast, and more microbes are added to the tea, a thick, gooey layer starts to grow. After the layer dries out, a very thin, leathery material is leftover. This material can fuse to itself as it dries. It doesn’t have to be sewn together with thread. Designers can shape it into pieces of clothing including shoes and jackets– or even hats with ears, for cats like me. As Liu told me more about fibers, she pulled a silkworm cocoon out of her office drawer. Silkworms live in mulberry trees, the closest thing to trees that can grow fabric. Mulberry trees can grow their own kind of spongy bark cloth right inside their trunks. The silkworms also help make fabric. Up in the mulberry branches, they munch on leaves and berries, getting ready to make their cocoons, small waystations they use to get ready for the next stage of their lives. They spin their cocoons with silk that comes right out of their mouths. People use the soft fibers from cocoons to make silk fabric and thread. Fabric and thread can also be made from animal hair. Wool from llamas and sheep, for example, can also be spun into one of my most favorite things, yarn. One big part of Liu’s research is figuring out the best way to recycle cloth using her knowledge of these natural materials and fibers. She’s looking for the best ways to make new cotton tee shirts out of old ones. She showed me a spool of recycled cotton fibers she made in her lab. The wispy, white fibers look fragile, but the cotton is very strong. This kind of sustainable, recycled clothing is good for both the people who wear it and the planet. That’s something that will never go out of style. Got a question? Ask Dr. Universe. You can send her an email atDr.Universe@wsu.edu or visit her website at askdruniverse.com. This entry was posted in Dr. Universe on April 24, 2015 by editor. 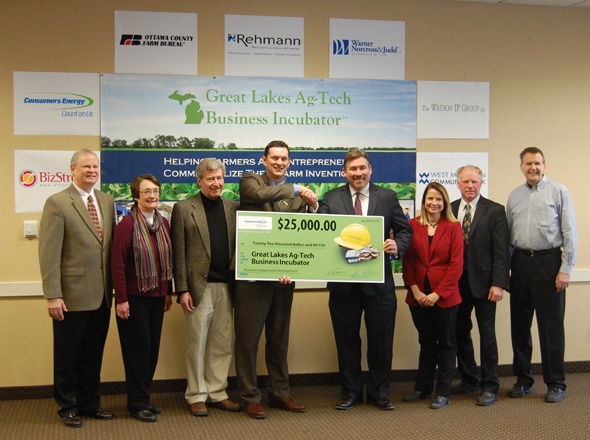 Consumers Energy representatives presented a $25,000 check to Great Lakes Ag-Tech Business Incubator officials on Friday. The contribution will support new business development centered on commercializing ag-technology ideas and innovations. The Incubator specializes in helping farmers and agriculture-related entrepreneurs turn their machine, equipment, or software ideas and inventions into profit generating assets or new businesses. This entry was posted in News Releases on April 22, 2015 by editor. RE: 52nd Annual Y’s Club White Elephant Sale—Let Us Help You Spring Clean! Since 1963, the White Elephant Sale has given our club an opportunity to help children in a very positive away. Because we all are volunteers, monies raised from the White Elephant Sale go directly to the YMCA and Camp Pendalouan. The bulk of the money is used to finance camp scholarships for a significant number of children in the area. You can help in a variety of ways: Excess saleable inventory from businesses is most welcome. 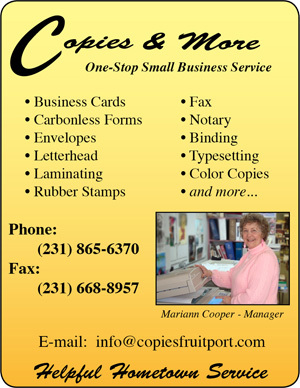 We also move large amounts of furniture and household goods, office equipment, tools, building materials and supplies. We will pick it up at no cost to you. Should you be unable to donate any merchandise, you can support the White Elephant Sale by donating gift certificates or by making cash donations. We are an Internal Revenue Code Section 501(c)(3) tax-exempt organization and will provide you with a receipt at the time of pick up to support your organization’s tax deduction. We look forwarding to hearing from you. We are setting up our sale site and will be ready to make pick-ups, beginning Monday, April 6th. To schedule a pick up, (or drop-off time) please call 231-727-9900. We thank you for your support. YOU ARE IMPORTANT! This entry was posted in News Releases on April 21, 2015 by editor. WHAT IS THE EARLY CHILDHOOD SPECIAL EDUCATION CLASSROOM? The E.C.S.E. was established to give special help to preschool children from 3 to 5 years of age who show a delay in one or more areas of their development. Most often a delay in their understanding or use of language is an indication that children may benefit from this program. The small class size, individual attention, and specialized staff provide an environment that fosters the development of each youngster’s speech and language, fine motor, gross motor, social, self help, general knowledge and readiness skills. HOW DOES A CHILD QUALIFY FOR THIS PROGRAM? A child who is experiencing difficulties in one or more of the following areas may be eligible for this program. When a child is referred for possible placement in the E.C.S.E. classroom, he may be evaluated by the School Psychologist, Speech and Language Therapist, Special Education Teacher, and other appropriate professionals to establish eligibility for this early intervention program. WHO CAN REFER A CHILD FOR THIS PROGRAM? Many preschool children with special needs are referred by parents, doctors, or area preschool teachers. Others are identified during the Spring Lake Child Find Preschool Screening. Referrals may be addressed to Dana Miller, Teacher of the Early Childhood Special Education program (616-846-5503 ext. 4225). This entry was posted in News Releases on April 20, 2015 by editor. 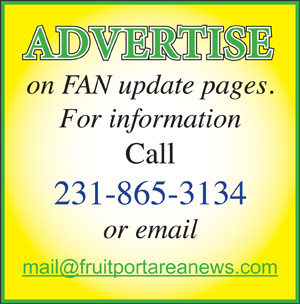 Ask Dr. Universe – Why are ripe fruits sweet? Dear Dr. Universe: Why are ripe fruits sweet and why is it so important? Got a question? Ask Dr. Universe. You can send her an e-mail atDr.Universe@wsu.edu or visit her website at askdruniverse.com. This entry was posted in Dr. Universe on April 17, 2015 by editor. The Holocene Epoch has seen the rise of human civilization. It is the time when people around the world started to shape the surface of the Earth through farming. From the kingdoms of ancient Egypt to the wars of the last century, the history you study in school occurred in the Holocene. As a geology student I was taught that not only were we in the Holocene, but that we would be for the foreseeable future. But now there’s a move afoot to declare that we are in a new epoch. It’s not just a matter of names, but of our understanding of our place in the world. The new epoch is one in which we humans are taking over the reins from Mother Nature. The proposed new epoch is called the Anthropocene — from “anthro” for people. Here’s the key: while we humans have been shaping the environment for thousands of years — through farming, early irrigation, and the cutting or burning of forests — our impact on the Earth has been rapidly accelerating. It’s not easy to see exactly where we should draw the line that marks the start of our biggest impacts. Was it with the Industrial Revolution and the construction of modern cities? A number of geologists think the line that marks the end of the Holocene should come a bit later. What’s proposed now is that we declare the Anthropocene Epoch started near the end of World War II. That was the time humans exploded the first nuclear bomb and rival nations started testing nuclear weapons around the world, creating radioactive isotopes that fell to Earth in diverse environments. This period also saw a new pulse in the increase in global population, as well as the start of industrialization in less developed nations. We poured artificial fertilizer onto fields and produced billions of tons of plastics. The Earth had never seen the like, as a group of scientists called the Anthropocene Working Group recently argued in the journal Quaternary International. No matter where the line is drawn, the argument is clear that we are entering a new phase of Earth history, one in which we shape more of our own environment. Welcome to the Anthropocene — a time where we are in the driver’s seat. Let’s hope we steer the world as carefully as we can. This entry was posted in Rock Doc on April 17, 2015 by editor. The Muskegon Lakeshore Chamber of Commerce is working with local stakeholders to win Muskegon the title of “America’s Best Community”. The group has submitted an application for the America’s Best Communities (ABC) Prize, an economic revitalization program sponsored by Frontier Communications, DISH Network and CoBank. This multi-stage, multi-year competition will provide support and seed money to winning communities with the grand prize winner receiving $3 million towards their community growth and revitalization plan. Local stakeholders who partnered to submit the application include the Muskegon Lakeshore Chamber of Commerce, the Cities of Muskegon, Norton Shores, and Muskegon Heights, along with local businesses Parkland Development, Alcoa, Parmenter O’Toole, and agencies such as the West Michigan Shoreline Regional Development Commission and others. A panel of independent judges will be reviewing the application and announce the 50 quarter finalists on April 29, 2015. If selected as a quarter-finalist, the community will be awarded a prize of $35,000. The stakeholders plan to use this prize to develop a corridor beautification plan to better access Muskegon’s Lakeshore. “Muskegon Lake and the region’s Lake Michigan Shoreline are world class,” says Chamber President Cindy Larsen. “Our application centers on the need to visually enhance the community’s main arteries with access to the waterfront.” Access to water is an economic driver that will benefit the entire region attracting new visitors, residents and investment. If chosen, the community will be awarded prize money in 2017 to begin implementing the plan. Check out the website: www.americasbestcommunities.com to learn more. Click here for an America’s Best Community Video filmed about Muskegon. Click here for a video from Country Superstar Vince Gill that features Muskegon. This entry was posted in News on April 16, 2015 by editor. Muskegon, Mich. — The approval process for the Little River Band of Ottawa Indians (LRBOI) to develop an Indian gaming facility in Muskegon County is advancing to the next step. The LRBOI filed its application Feb. 23 at the Bureau of Indian Affairs (BIA) regional office to take land into trust for a proposed casino and economic development project to be located on 60 acres of the former Great Lakes Downs racetrack site in Fruitport Township. LRBOI will invest $180 million to build the new casino and economic development project. The project is expected to generate more than 1,200 new jobs in Muskegon County. LRBOI opened the Little River Casino Resort in 1999 in Manistee as a tool for economic development and self-sufficiency. The income from the casino has enabled the Tribe to fund numerous important programs for tribal members and to provide employment opportunities for those members residing near the Tribe’s Manistee reservation. But over time, as Michigan tribes have expanded their gaming operations, with half of Michigan tribes operating more than one casino, competition has eroded LRBOI’s income. “The Band acknowledges this is a long-term investment and we plan to continue to work with the community, state and federal officials to pursue the casino and economic development project to provide much needed jobs and investment in the Muskegon region along with providing revenues to service the needs of our members,” said Tribal Council Speaker Virgil Johnson. Muskegon County is the home to the Band’s largest population base. Muskegon is one of the Band’s service areas and the Band maintains governmental offices in Muskegon County to serve its members. 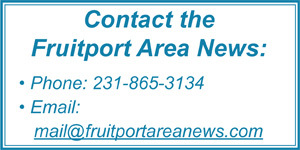 This entry was posted in News Releases on April 15, 2015 by editor. This entry was posted in Calendar of Events on April 14, 2015 by editor. TRACTOR SUPPLY COMPANY SEES TREMENDOUS SUPPORT DURING THIRD ANNUAL NATIONAL FFA ORGANIZATION SCHOLARSHIP PROGRAM. CUSTOMER DONATIONS INCREASE MORE THAN 25 PERCENT IN 2015 FOR YOUTH SCHOLARSHIPS, FFA FUNDING. BRENTWOOD, Tenn. (March 25, 2015) – Tractor Supply Company and the National FFA Foundation are proud to report another year growth for their third annual Growing Scholars program. From February 20 to March 1, Tractor Supply customers across the country donated $563,482, an increase of more than 25 percent from 2014 donations. This year’s donations will result in 427 $1,000 scholarships awarded to FFA members in their pursuit of a college degree. The Growing Scholars program was supported nationally by each of the more than 1,400 Tractor Supply stores as part of National FFA Week. Tractor Supply customers supported local FFA chapters and their members by purchasing an FFA emblem for $1 at store registers during the checkout process. 90 percent of funds raised are being utilized to fund scholarships for FFA members, with the remaining 10 percent benefitting state FFA organizations. The National FFA Foundation selected FFA members across the United States to receive the scholarships. To be eligible for a scholarship, students must have been current FFA members and either a high school senior or a freshman, sophomore or junior college student seeking a two- or four-year degree or other specialized training program. Major areas of study were also considered when determining scholarship recipients. For the final report of funds raised, visit www.TractorSupply.com/FFA. This entry was posted in News Releases on April 14, 2015 by editor. BRENTWOOD, Tenn. (Feb. 11, 2015) – Coming off the heels of a successful second year in 2014, Tractor Supply Company has announced the third annual Growing Scholars program in partnership with the National FFA Foundation. Last year, Tractor Supply customers donated $447,671, resulting in 334 scholarships awarded to FFA members in their pursuit of a college degree. Twice a month Mike Morea, DC opens up his office in Fruitport to the public to come in and attend a “Health & Wellness Talk”. This presentation is done by Dr. Mike and he will teach you about chiropractic as a lifestyle. This opportunity allows anyone to ask questions and to get a better idea of what chiropractic is and means. Light snacks or a light dinner is provided and each person who joins is given a thank you gift! Please RSVP to join; Call, Email or join on Facebook. This event is open to the public and current patients. This entry was posted in Calendar of Events on April 13, 2015 by editor. All Michigan artists, 18 years and older, are invited to submit up to two artwork entries for the chance to show in the Muskegon Museum of Art’s juried 87th Regional Exhibition. Over $5,000 in cash prizes and purchase awards will be distributed to artists this year. The Regional opens on June 4 and will fill two large galleries at the museum through August 5, 2015. The Muskegon Museum of Art’s juried Regional Exhibition was one of the first regional art shows established in Michigan and holds a respected position among the state’s art exhibitions of this type. A long list of recognized Michigan artists has exhibited in the MMA’s Regional Exhibition, at the beginning and throughout their careers. In this 87-year tradition, the MMA continues to support Michigan artists. Entries of two-and three dimensional works created over the past two years by professional and amateur artists are eligible. Art work must be physically brought to the MMA from Thursday, May 14, through Saturday, May 16 or, if shipped, arrive pre-paid by May 13. Electronically submitted entries are not accepted. Artists and the public are welcome to view entries during these times. After Saturday, viewing will be closed until the 87th Regional Exhibition opens on June 4. Complete guidelines and entry forms are available at the MMA or for download at www.muskegonartmuseum.org. 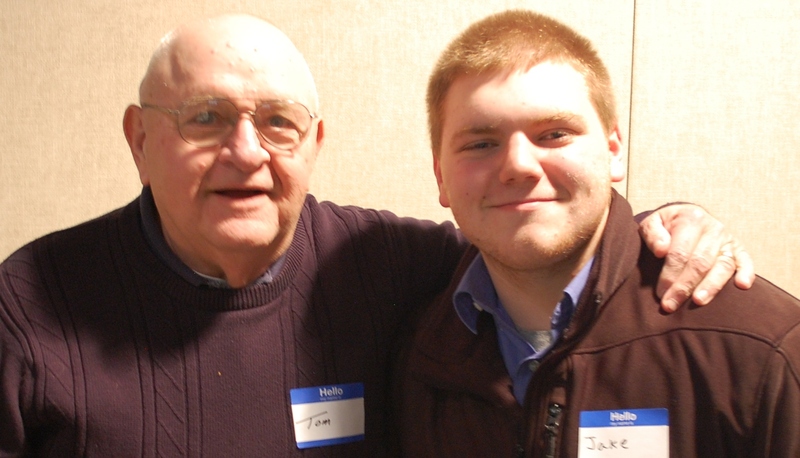 Muskegon, MI, April 8, 2015 – Big Brothers Big Sisters of the Lakeshore is proud to announce that local mentor Tom Hickman has been named Michigan’s 2015 Big Brother of the Year. Each year, mentors from across the state are nominated by local Big Brothers Big Sisters agencies for their commitment to changing the lives of children facing adversity – for the better, forever. Hickman has been a Big Brother for 5 years and has dedicated countless hours to helping his Little reach his fullest potential. This annual recognition is not only a part of the national Big Brothers Big Sisters Michigan competition, and Mr. Hickman will also be considered as one of two Bigs to be honored at the national Big Brothers Big Sisters of America National Big Brother of the Year Award, which will be announced at the 2015 National Conference June 2 – 3, 2015, sponsored by Comcast NBCUniversal. Mr. Hickman’s service to his Little is also under consideration for the 2015 Governor’s Service Awards to be announced by Governor Rick Snyder’s office in June 2015. Members of the media and area legislators, staff and members of the Big Brothers Big Sisters of the Lakeshore Board of Directors are invited to honor Big Tom Hickman for receiving the 2015 Big Brothers Big Sisters Michigan Alliance award at the agency located at 4265 Grand Haven Road, Suite #201, Muskegon MI 49441 from 5:30 – 6:30 p.m. on Wednesday, May 6, 2015. This entry was posted in News on April 12, 2015 by editor. MUSKEGON — March 30, 2015 — The Mercy Health Seaway Run is one of Michigan’s most scenic and most popular runs. With courses that take advantage of the beautiful shorelines of Lake Michigan and Muskegon Lake, it has been a favorite of runners from across Michigan and beyond for over three decades. With its fun, family-friendly atmosphere, the Mercy Health Seaway Run celebrates healthy living and a healthy community with events for all ages and abilities – in 2014, 3,450 participants ran or walked! For 2015, the new 5K course (with fewer turns) is again in the historic Nims neighborhood, with both the 5K Run and Community Walk winding through streets of historic homes and shady trees, finishing with views of Muskegon Lake. The Lake Michigan Half Marathon is now an established part of the Mercy Health Seaway Run line up of events, with a unique name and logo for a run that celebrates the entire Lake Michigan region. Participants in all events can register online quickly and easily at www.seawayrun.com. For those interested in training with a group, the YMCA’s annual 10 week training class begins on April 14, with groups for all levels of runners. Contact the YMCA at 231-722-9322 to sign up. This entry was posted in Calendar of Events on April 11, 2015 by editor. ‎This Theatre Survival Skills course combines the instruction of playwriting, monologue performance, stage manager skills, creating deep emotions on stage, basic makeup skills (for guys and girls,) improvisation, a variety of accents, and projecting your stage voice with volume and articulation all into one week, April 6-11 at the Howmet Playhouse. 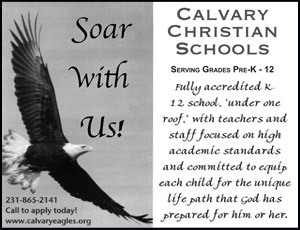 Classes are 10:00am-Noon for grades 6-8 and 1:00pm-3:00pm for grades 3-5. Class fee is $50. Call the Nuveen Center at 231-894-2787 to register. Kids ages 7-11 are invited to the Muskegon Museum of Art for the Spring Break Art Camp with instructor Ellen Sprouls, Monday–Friday, April 6–10 from 9:00am–noon. The cost per day is $20 or $17 for members. The cost for the week is $75 or $65 members. Get those kids moving and creating (and out of the house!). Each day, students will explore different mediums through various projects based on exhibitions that are on view in the Museum. Come for the week or drop-in for the day. To register, call one week in advance at 231-720-2571. The 2015 WWII Lecture Series is finally here! April 6 at 6:00pm, it’s And the Skies Rained Blood: The Allied Bombing Campaign Over Nazi Germany, presented by Dr. Fred Johnson, Associate Professor of History, Hope College. 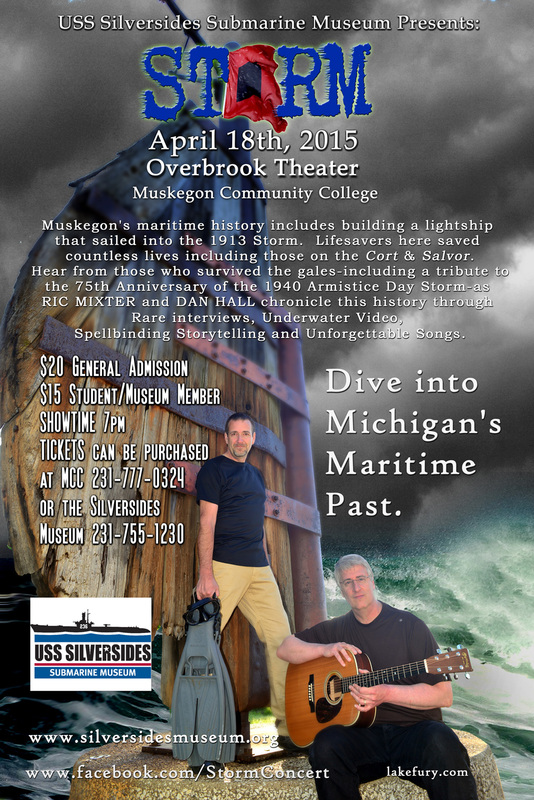 Cost is $5.00 per person or FREE with your USS Silversides Submarine Museum membership. For more information, call 231-755-1230. Tuesday & Thursday, April 7 & 9 from 10:00am–noon, kids 8 to 14 can come to the Muskegon Museum of Art for “Zentangles for tweens and teens” with instructor Marjorie Goosen, Certified Zentangle Teacher (CZT). The cost is $40 or $35 for members, which includes materials. Zentagling is a great way to express yourself, with no art training or background required to make beautiful, fun, and funky images. Learn simple, repetitive strokes to make exciting, unique, fresh drawings using simple tools. Prepare to be amazed with your success. To register, call 231-720-2571 by March 31. ‎You’re invited to the Book Nook & Java Shop Tuesday, April 7 for the White lake Classical series featuring a performance by Haijin Choi and Adam Liebert. Dinner begins at 6:15pm and is only $17. Music begins at 7:00pm and there is a $5 cover. For more information or to make reservations, call 231-894-5333. ‎”Expressions”, the annual Muskegon County student art exhibition is organized by the Muskegon Museum of Art in partnership with the Muskegon Area Intermediate School District. The show opens March 25 and will run through April 23. “Expressions” showcases the artistic talents of Muskegon County K-12 students, featuring two and three dimensional artworks in a variety of media. For more information, call 231-720-2570. ‎Thursdays, April 9 and 16 from 5:00–8:00pm, come to the Muskegon Museum of Art for FREE Admission Family Fun Nights! See The Art of the Brick and create your own sculpture in the interactive LEGO building area. For more information, call 231-720-2571. ‎Friday, April 10th at 10:30am, come to Walker Memorial Library for the “Superhero Academy”! Do you have what it takes to be a superhero? Join them for some superhero crafts, books, boot camp and more! For families with children ages 3-10. Please call the library to register at 231-744-6080. The Alley Door Club is located on the 3rd floor of the Hilt Building in the Frauenthal Center for the Performing Arts. Doors open at 6 PM. West Side Soul Surfers will play 7 PM – 10 PM Cash bar available. Valid I.D. required. Tickets $7 in advance at the Frauenthal Box Office. 4-top $55.00* price includes 4 admission tickets 8-top $80.00* price includes 8 admission tickets Monday – Friday 11 AM – 5:30 PM. For more information call 231-727-8001 Tickets also available at the (door) from the Frauenthal Box Office. ‎Dueling Pianos is always a great time in Muskegon. This upcoming event is Friday, April 10 from 7:00pm- midnight at the Watermark 920. Tickets are $12.00 in advance and $15.00 day of the show. Doors open at 7:00pm. The show begins at 8:00pm! You’re invited to the James Jackson Museum of African American History for the DVD presentation, Frederick Douglas: From Slavery to Statesman for His People, Saturday, April 11 at 3:00pm. For more information, call 231-739-9500. ‎Howl N Blues” is a winter, six concert, blues party series held the 2nd Sunday of each month, November 2014 through April 2015 at the Watermark 920. There’ll be a cash bar, food, 50/50 raffles, dancing, and good times guaranteed! 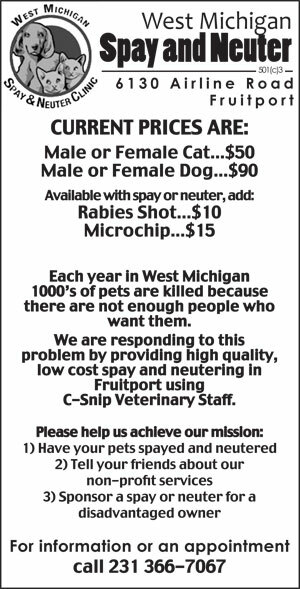 There’ll also be printed information about the plight of the shelter animals, the importance of spaying and neutering, adoptable dog pictures etc. All shows will benefit PoundBuddies Animal Shelter & Adoption Center. Doors open at 1:00pm with music from 2:00-6:30pm. April 12 it’s the ALL-STAR FINALE with the Howlin’ Blues Band. Find out more at www.watermarkcenter.com. Muskegon State Park is hosting a Generational Walking Challenge this spring beginning April 13. 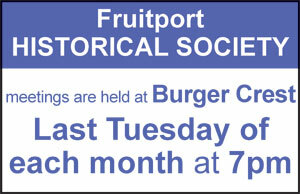 This weekly walk happens Mondays at 5:00pm at the Snug Harbor Day Use Area. At the end of 8 weeks, on May 29, participants can turn in their activity tracking form for a chance to win prizes. The grand prize for the family or group that logs the most minutes of activity is a 2-night stay at Muskegon State Park’s Yurt (limit 7 people per team). P.J. Hoffmaster State Park will host a completion celebration on Friday, May 29 at 5:00pm. Register today for Muskegon County’s Generational Walking Challenge with your family and friends by emailing bucke1@michigan.gov. This program is funded by MRPA’s Active Living Grant, in partnership with the Michigan DNR. Other partners include the Health Project, EcoTrek Fitness and Blue Cross Blue Shield of Michigan. A Recreation Passport is required for entry into all Michigan state parks and recreation areas. See space travel from the beginning with a NEW program at the Carr-Fles Planetarium! From the launch of Sputnik to the future of Mars exploration, “Dawn of the Space Age” is an incredibly accurate reconstruction that gives you the chance to become a first-hand observer, and concludes with a brief planetarium dome demonstration of the current night sky. No reservations are needed for this FREE show on Tuesdays and Thursdays at 7:00 p.m. (doors open by 6:45), which runs April 7-23 and May 19-June 11. The planetarium is in room 135 on the main campus of Muskegon Community College, 221 S. Quarterline Rd., Muskegon. For more information, or to schedule a private show for groups of 15-44, please call (231) 777-0289 or email tamera.owens@muskegoncc.edu. ‎Belinda the Ballerina and Friends: The Illustrations of Amy Young is an exhibition of original book illustrations by artist Amy Young at the Muskegon Museum of Art. Big-footed ballerinas, dogs on boats, and mud fairies are just a few of the characters that Amy Young has brought to life through her stories and bright, colorful book illustrations. This exhibition features original artwork she created for the popular children’s book Belinda the Ballerina and other books that Young has written and illustrated. The exhibition will be on display through April 26, 2015. 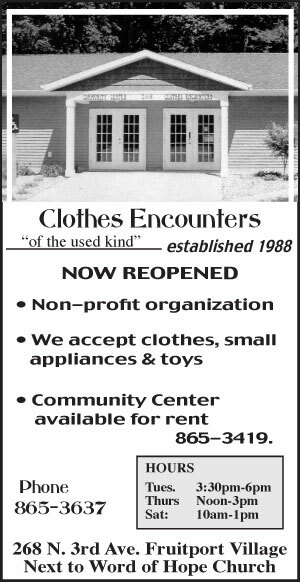 For more information, call 231-720-2574. ‎Beginning February 19, the Muskegon Museum of Art will host The Art of the Brick®, an exhibition featuring large-scale sculptures created out of iconic LEGO® bricks by New York based artist Nathan Sawaya. The exhibition has proved to be very popular with audiences as it has toured the globe. “This year alone, we’ve visited Ireland, South Africa, and Amsterdam,” said Sawaya. “We are thrilled to be bringing this collection to Muskegon.” The Art of the Brick will be on view at the Muskegon Museum of Art, 296 W. Webster Ave from February 19 through May 3. The public is invited to attend an opening reception on Thursday, February 19, from 5:30 to 7:00pm. Light refreshments will be served at the family-friendly event, which will be free and open to the public. For more information, call 231-720-2571. Friday Crop is from 5:30 to 11:30, $10 per person, we will order pizza. Saturday Crop is from 10am-10pm, $15 plus a snack and drink to share. I will provide a mid day meal and a dessert. Card Make N Takes will be from 10am-2pm on Saturday. Harbor Hospice is proud to announce and welcome Stacy Mellema as its new Business Manager. Ms. Mellema brings with her 20 years of experience in the financial services industry. Ms. Mellema fills the position previously held by Tim Grunwald who left to become the CEO/President of the Hospice and Palliative Care Association of Michigan. Ms. Mellema comes to us from Rehmann (formerly Pridnia LaPres, PLLC) where she served as Senior Manager for 12 years. Ms. Mellema is a CPA and holds an Accounting degree from Central Michigan University. She has extensive experience in auditing non-profit organizations and has also contributed as a volunteer to a number of area agencies including Muskegon Civic Theatre, Girls on the Run, Women Who Care and United Way of the Lakeshore. For more information on our services contact Harbor Hospice at 231.728.3442 or 800.497.9559 or email info@HarborHospiceMI.org or visit our website at HarborHospiceMI.org. This entry was posted in News Releases on April 11, 2015 by editor. Ask Dr. Universe – What if Gravity Pulled Up? Our universe would look so different, Kyle. You might not recognize it even if you could be here to see it. Unfortunately, there probably wouldn’t be a whole lot to see. I learned about this from Washington State University professor and physicist Matthew McCluskey, who studies the material world. He explained how gravity pulls together dust, gas, and little particles floating around space to make massive clumps of matter that form stars and planets. For example: planet Earth. Every particle in the Earth is pulling on you at this very moment–every single one. You can jump really high despite that. McCluskey said this is because gravity is a wimpy force, an oddball compared to other forces of nature. Even a weak force can still add up to pull us toward the Earth’s center and keep us grounded. If gravity pulled us up toward the sky, it would mean that gravity repelled. It would push objects away from each other. Watching this happen from out in space, you could see everything not bolted down to Earth–buildings, desks, homework, cats–start to lift off and drift into space. Then, you could see the surface of the earth start to fall away. He thinks your question sounds like a good idea for a science fiction story. There isn’t any place with zero gravity, but when you’re falling it feels as if there is no gravity. As you may already know, or as any astronaut can tell you, you can live without gravity. Gravity isn’t what keeps our guts together. If gravity reversed on the Sun, McCluskey said he’d be scared because it is the only thing keeping the sun together. Nuclear fusion, inside the sun, pushes outward. Without gravity, the sun would explode. In fact, gravity from the Sun is pulling on all the planets. The Sun has a bigger mass so it’s exerting the strongest gravitational pull in the solar system. Thankfully, our planet is also moving sideways so it won’t fall into the Sun. McCluskey doesn’t believe gravity will ever reverse, though. Gravity has behaved the same way for billions of years. And just imagine a universe where gravity was always pushing things away. There wouldn’t be a natural world to ask questions about, or inquisitive people like you to ask them. Matter would never clump together to form planets or stars. It would be a universe of dust. This entry was posted in Dr. Universe on April 10, 2015 by editor. 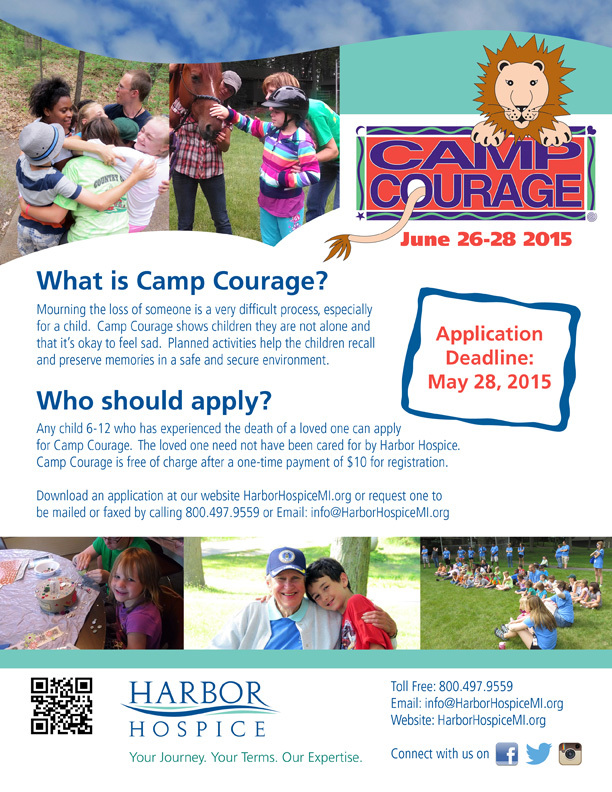 Harbor Hospice has been offering Camp Courage for 22 years as a way to help children and their families after the death of a loved one. Loss is difficult at any age and it can be even harder for children who have not yet developed the emotional tools necessary to help them work through grief. Children react to grief in a variety of ways. Some reactions can be very destructive, such as acting out or fighting, missing school, decreased self-esteem, and/or emotional regression or feelings of isolation. Harbor Hospice staff and trained volunteers show children that they are not alone in their grief and that feeling sad is a normal part of losing a loved one. Children learn effective coping techniques to help them journey through grief in healthy ways. Children participate in all of the typical camping activities such as swimming, fishing, hiking and campfires, along with specialized activities designed to address how to handle grief. Camp Courage, a sleep-away camping experience for children ages 6-12, is held at Pioneer Trails on Big Blue Lake in Muskegon County beginning Friday, June 26, 2015 at 10:00 am through Sunday, June 28, 2015 at 2:00 pm. Application deadline is May 28, 2015. There is a $10 registration fee; however, there are no additional charges for camp. For more information or to register, contact Stephanie Weesies or Amy Cunningham at 231.728.3442 or 800.497.9559 or email info@HarborHospiceMI.org or visit our website at HarborHospiceMI.org. This entry was posted in News Releases on April 9, 2015 by editor. 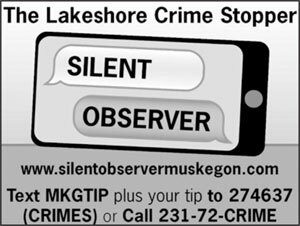 Muskegon County now has the public survey available on the County website and are hoping to have the general public complete it, giving us insight into how they feel about the County’s website. Here is a link to it. Please share it. This entry was posted in News Releases on April 8, 2015 by editor. During the winter I like to feed the birds. I have a very simple arrangement for this: pouring a mix of seeds on a flat railing outside my dining room window. I regularly attract several species of small birds to the seed. Buster and I are really a team when it comes to squirrels. When I see one out the window on the railing, I call “Buster Brown, squirrel, squirrel!” My faithful dog then charges out the dog-door, putting him about 4 feet from the rodent. The chase is on, often going across the yard to where the squirrel can climb a tree where it scolds Buster to its heart’s content. But am I really doing a favor to the birds by feeding them each winter? That question was the subject of a recent blog post by Joe Smith published by The Nature Conservancy. It turns out there’s a bit of scientific research on the matter. Common sense suggests feeding birds during the tough, cold months helps them survive the most challenging of seasons. Our feathered friends need food energy to keep themselves warm, and winter limits the availability of food. Some scientific studies do agree with common sense: more birds survive the winter when they are fed than otherwise. The Nature Conservancy blog post referenced a study in the upper Midwest of black-capped chickadees. Those fed by people had a higher survival rate over the winter (69 percent) versus those that weren’t fed (only 37 percent survived). But for some birds in given locales, feeding may be, paradoxically, detrimental. Researchers in Great Britain discovered that certain fed birds laid fewer eggs the following spring and summer than did unfed birds. And the fledglings of the fed birds were less likely to survive than the offspring of unfed birds. It’s not abundantly clear why fed birds would have less success with their offspring than unfed ones. It may be that store-bought bird seed isn’t really a balanced diet for birds compared to what Mother Nature provides, and there may be other factors, too. Still, many studies suggest feeding the birds helps them out in tough times. That’s why, with the help of Buster to fend off the squirrels, I’ll continue to feed birds in my backyard. This entry was posted in Rock Doc on April 7, 2015 by editor. This entry was posted in Calendar of Events on April 6, 2015 by editor. Attend the Overbrook Theater on April 18, 2015 for the presentation of STORM, a video documentary about storms on the Great Lakes and resulting ship wrecks with all the mystery and theories surrounding their demise. Ric Mixter, the videographer and researcher who created the film will narrate the stories shown in video and photograph. Accompanied by musicians who sing nautical ballads, the evening will be one of nautical history and entertainment. Having personally seen and listened to the program last September, this will be rare opportunity for residents of West Michigan to view underwater footage and listen to the stories that accompany the nautical environment we experience daily. Of special note will be a focus on ships that have sunk during storms near Muskegon, Whitehall, Grand Haven and Pentwater. Muskegon’s maritime history includes building a lightship that sailed into the 1913 Storm. Lifesavers here saved countless lives including those on the Cort & Salvour. Hear from those who survived the gales-including a tribute to the 70th anniversary of the 1940 Armistice Day Storm-as RIC MIXTER and DAN HALL chronicle this history through Rare interviews, Underwater Video, Spellbinding Storytelling and Unforgettable Songs. Harbor Hospice reaches Level IV in the “We Honor Veterans” Program, ensuring QUALITY care for Veterans in End-of-Life Care. HarborHospice, serving Muskegon, Oceana, Mason, Newaygo, and North Ottawa counties, is proud to announce that they have achieved the highest partnership level in the We Honor Veterans” National Program. Designed to improve the end of life care of veterans in hospice, the program was instituted locally at Harbor Hospice in 2011. “Our staff is specially trained to recognize the unique needs of our Veterans who are facing a life-limiting illness, particularly where those needs relate to their military service” says Laurie Hickman, clinical manager. “We are also able to offer support to their families and assistance with locating resources and benefits in the VA system and to support them in their grief after the death of their loved one”. A vibrant component of the We Honor Veterans program at Harbor Hospice is the Veteran Pinning ceremonies that recognize and thank individual veterans for their service to our country. Hospice volunteers, including area veterans, have pinned 196 veteran patients. Paula Poel, volunteer coordinator, arranges the pinning ceremonies and has witnessed firsthand the gratitude of the veterans and their families. She says “It’s so important that we acknowledge the service of these brave men and women…for some it’s literally the first time they’ve been thanked. We Honor Veterans ensures that we are treating our veteran patients with the dignity that they deserve”. For more information on Harbor Hospice services please call 231.728.3442 or 800.497.9559 or email info@HarborHospiceMI.org or visit our website at HarborHospiceMI.org. (NHPCO, Alexandria, VA) – It surprises many Americans to learn that 25 percent of all deaths in the US are Veterans. That’s 1,800 people a day; more than 680,000 Veterans every year. These heroic Americans deserve recognition for their military service– particularly at the end of life’s journey. The National Hospice and Palliative Care Organization in collaboration with the Department of Veterans Affairs (VA), launched We Honor Veterans, a pioneering campaign to help improve the care Veterans receive from hospice and palliative care providers. The resources of We Honor Veterans focus on respectful inquiry, compassionate listening, and grateful acknowledgment, coupled with Veteran-centric education of staff caring for Veterans. To learn more about We Honor Veterans, please visit www.wehonorveterans.org. This entry was posted in News Releases on April 5, 2015 by editor. (Muskegon, MI) – The HERO Mud Run is coming to the Muskegon County Fairgrounds on May 16, 2015. The first course of its kind in the area, the HERO Mud Run introduces a three, six or eight mile run, equipped with 25 plus unique, military-style obstacles. Designed to challenge the competitor both physically and mentally, the course is designed to incorporate obstacles and distances for every level including: Rope balance challenge, barrel swim, water tunnel, 16’ quarter pipe, tire wall, motocross track, mud/fire/smoke, ice bath, barbed wire, and much more. t-shirt and medal. Those over 21, receive a free beer for participating. Those wishing to compete as a team (six or more) qualify for a team discount. A beer tent will also be onsite featuring local, craft beer and Budweiser products. * $10 mandatory insurance fee with registration. * Same price for all race distances. For more information about the HERO mud run or for volunteer details, please visit www.heromud.com. Current sponsors include Walgreens, Meijer, Mercy Health, and Access Health. Partner organizations, who will receive a portion of the proceeds, include: Flyin’ Heroes, Muskegon Jaycees and the Muskegon County Fairgrounds. This entry was posted in Calendar of Events on April 4, 2015 by editor. 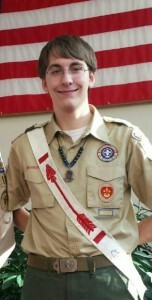 Lee A. Beaton obtained the rank of Eagle Scout January 25, 2015. He is a member of troop 1127, which is sponsored by the Fruitport Lions Club. His Eagle service project was cleaning out the drainage ditch and installing new drain tile at Farr Field, Fruitport. Lee is a senior at Fruitport High School where he is a member of the National Honor Society. He will again be a counselor at Gerber Boy Scout camp this summer before attending CMU in the fall. Lee is the son of Julie Beaton and AI Beaton, both of Muskegon. Grandparents are Vicki Beaton of Muskegon and Roger and Betty Barry of Jackson/Michigan Center. This entry was posted in News on April 3, 2015 by editor. National Mentoring Agency looks to meet their goal of $50,000 in support of mentoring services. Muskegon, MI, March 24, 2015 – Big Brothers Big Sisters of the Lakeshore is appealing to the community to support Bowl for Kids’ Sake, the mentoring organizations largest and longest running annual fundraiser, raising money needed to carefully pair adult volunteer mentors with children who face adversity in staff-supported, long-term mentoring friendships. Studies show that the presence of an additional positive adult in the life of a child greatly increases the chances for educational success and decreases at risk behaviors. Participants are asked to form teams of four to six bowlers that will then solicit pledges from friends, family and co-workers that will be used to support the agency’s Community Based one-to-one mentoring program. 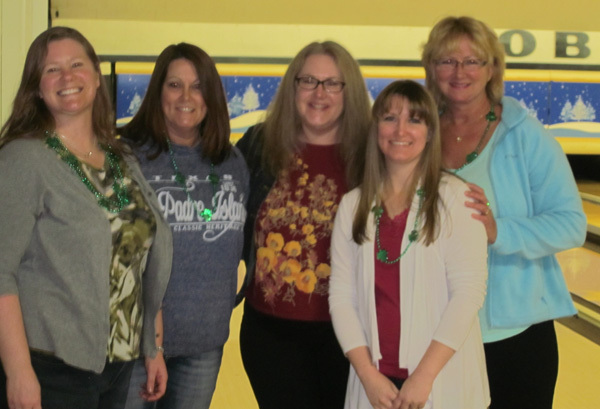 Big Brothers Big Sisters of the Lakeshore Bowl for Kids’ Sake committee members are working to increase bowler pledges to $30,000 this season and need your assistance to do so. Sponsor pledges are still being accepted as well. Sponsors will be honored throughout 2015, through February 2016 via a variety of methods. Friday April 17th @ Starlight Lanes in Grand Haven. 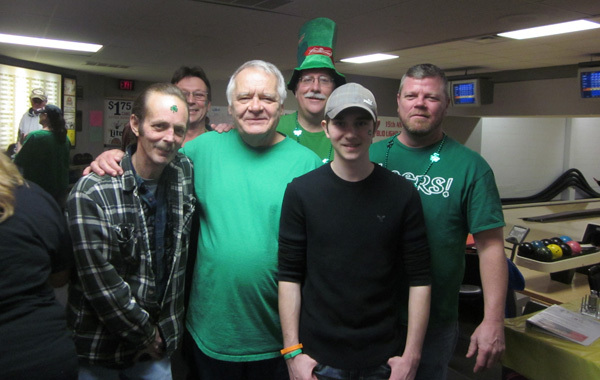 Bowlers are treated to 2 FREE games, shoe rental, pizza and pop in return for raising at least $75 in pledges per individual bowler. Throughout each bowling event bowlers will have opportunity to win additional prizes including Meijer and Subway gift cards and other various prizes. How do you win these great prizes? Play the agency’s version of minute to win it games, featuring, Stack Attack, Tweeze This, Marshmallow Madness, Gold Digger and many more fun games. 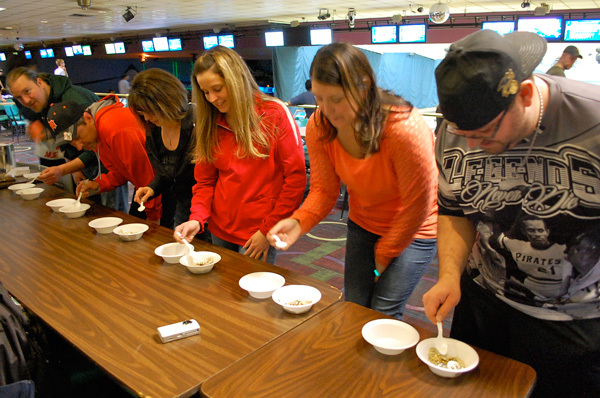 “Bowl for Kids’ Sake brings the entire community together in support of a positive future for our Littles,” said Cindy Timmerman, Executive Director of Big Brothers Big Sisters of the Lakeshore. “No matter how someone chooses to be involved—bowler, virtual bowler (online donor), team captain or sponsor—each person has a hand in helping to start a child on the right path. Every dollar raised through Bowl for Kids’ Sake directly funds our mentoring programs in Ottawa, Muskegon, Oceana and Mason counties and helps to maintain and sustain our mentoring relationships, increasing kids chances for becoming Caring, Confident, Competent and Contributing adults within their community.” Donor funds, such as those raised through Bowl for Kids’ Sake, enable Big Brothers Big Sisters to provide caring mentors for vulnerable children in need of an additional positive adult support. This entry was posted in News Releases on April 2, 2015 by editor. ‎Spring is in the air, and the Easter Bunny is coming to town! Beginning Saturday, March 21, kids of all ages are invited to visit and have their photos snapped with the Bunny at The Lakes Mall in Younkers Court. The Easter Bunny will be available for visits and photos starting Saturday, March 21 through Saturday, April 4, Monday through Saturday from 10:00am to 9:00pm, and Sunday from 11:00am to 6:00pm. All children who visit the Easter Bunny will receive a wonderful coloring sheet with great offers from mall stores! Visits with the Easter Bunny are always free and reservations are not required. Professional photo packages start at just $22 and include a FREE Shutterfly gift card. For additional information, visit TheLakesMall.com. Saturday, April 4 at Calvin Church, (973 W. Norton) from 8:30am-10:00am, you can enjoy a pancake breakfast (donations accepted). There will be an egg hunt for ages up to 11 years. Both events are open to the public and the egg hunt is FREE! For more information, call 231-737-5207. Saturday April 4 at Delmar baseball fields in Roosevelt Park at 10:00am. This event is FREE and open to the public! The park is located at the corner of Glenside & Roosevelt Road. You’re invited to the James Jackson Museum of African American History for the DVD presentation, Paul Robeson: A Champion for Human Rights, Saturday, April 4 at 3:00pm. For more information, call 231-739-9500. ‎An evening you will enjoy with Lin Rountree at Fricano’s Place Event Center on Saturday April 4 at 7:00pm. Purchase General Admission tickets or reserve your seating at Urban Apparel, Ken’s Anointed Hands, and The Cheese Lady. Limited number of reserved seating. Dress to Impress! Come to the Back Alley Comedy Club inside Sherman Bowling Center, Saturday, April 4 at 9:00pm for live stand-up comedy with Rico Bruce Wade, with special guest Kate Brindle! Doors open at 7:30pm. A full bar and food will be available. Tickets are only $5! 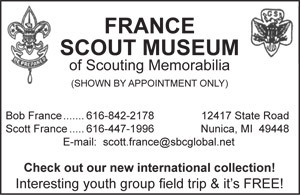 Call 231-755-1258 for more information and ask for Todd or Mike. Sunday April 5 Enjoy an Easter Buffet at Third Street Grille in downtown Muskegon at 939 Third Street from 10:30am – 2:30 pm. Adults $23.95 / Kids 5-12 $9.95 and Kids 4 and under are FREE. This is held in their Embassy Ball Room. Please call 231-720-7105 to make your reservations. Chef carved prime rib, smoked ham, salads, desserts and more! ‎Looking for an Easter dinner away from home? Docker’s Easter Brunch Buffet Sunday April 5th 11am – 2pm! Featuring their famous raw bar, prime rib carving station, family style perch & much, much more! $29.99 per adult and $15.99 for kids! Mimosas, Bloody Marys & full bar start at noon! Reservations only – please call 231-288-6300 to book your table today!! 3505 Marina View Point Muskegon, MI 49441. ‎Sunday April 5th at Bella Maria’s event center, (513 W. Pontaluna Rd.) relax with family & friends and enjoy the culinary delights of Bella Maria’s! Adults $23.95, ages 8-12 $14.95, ages 4-7 are 7.95 and 3 and under are FREE. Make your reservations to dine from 11:00am -3:00pm 231-563-6914. ‎African Americans have always proudly served in the United States Military beginning with Crispus Attucks who became the first casualty of the American Revolution when he was shot and killed in what became known as the Boston Massacre. Since then, their accomplishments have been many and great. The USS Silversides Submarine Museum is proud to tell the tale of the brave African Americans who served their country proudly during World War II, especially those from our own Muskegon Community, Dr. Robert Garrison and Denzal Harvey. Come learn about the achievements and the hardships endured by these wonderful heroes of American WWII history, March 4 – April 4, 2015 at the Silversides Submarine Museum. There will be an opening reception March 4 at 6:00pm. The cost is $5 or free with membership. 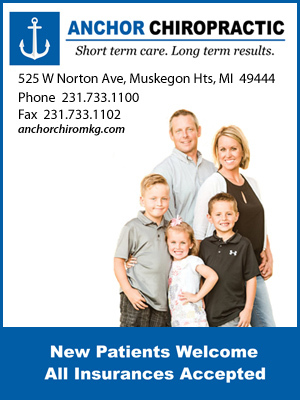 For more information, call (231) 755-1230. This entry was posted in Calendar of Events on April 2, 2015 by editor. LANSING, Mich. – Secretary of State Ruth Johnson announced today that Al Kimichik has been hired as the department’s senior investigative executive, a new position responsible for preventing, detecting and helping prosecute fraud cases. The new position is part of Johnson’s ongoing efforts to protect Michigan consumers and fight fraud. Kimichik began his duties Dec. 8. Kimichik comes to the Secretary of State’s Office with more than 25 years of investigative and law enforcement experience from the Michigan Department of Human Services, where he served as inspector general since 2002. As inspector general, he assisted the department in maintaining the integrity and accountability of its programs by, among other efforts, developing fraud prevention programs that use data analytics and fraud detection training for the field staff. As inspector general at DHS, he also developed and implemented FEE, a statewide fraud detection and prevention program for public assistance programs, that resulted in $240 million in cost avoidance and taxpayer savings over the past three years. Prior to DHS, Kimichik worked multiple investigative and enforcement roles for the Department of Environmental Quality and the Department of Natural Resources. • A comprehensive review of the department’s processes, technology and structure to determine how best to detect and deter fraud. • Data analysis to identify signs in transactions that may indicate fraud. • Expanding the verification of the thousands of insurance certificates the department receives from customers daily. • An upgrade in case management software to give department investigators the best tools for tracking down fraudulent activity. • A roundtable discussion with business leaders about fraud to seek their advice and ensure the department is following best practices. As Secretary of State, Johnson has made it a priority to crack down on fraud that targets the department and its customers. Working with the Michigan State Police, prosecutors, state officials and insurance industry leaders, she created the Fighting Auto Insurance Rip-Offs (FAIR) Task Force in 2013. The task force has explored new ways to combat insurance fraud and issued recommendations earlier this year, some of which are reflected in Johnson’s latest initiatives that Kimichik will help put in place. 6/9 – Shipshewana – $64, flea market, downtown, cheese factory and bulk food store and dinner. This entry was posted in Calendar of Events on April 1, 2015 by editor.